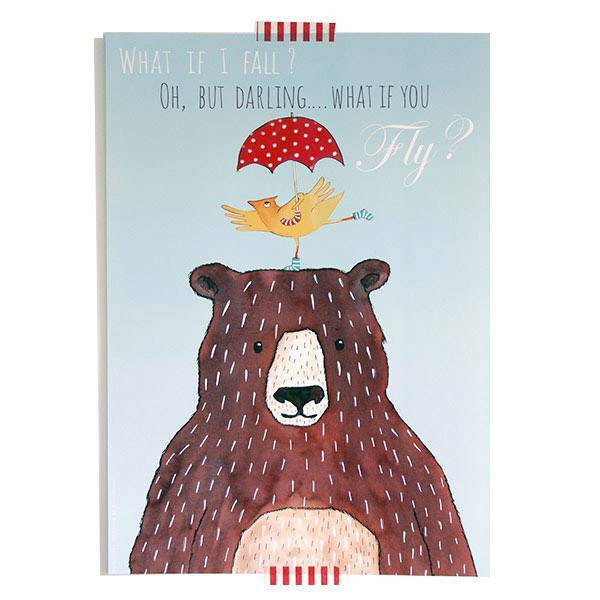 A big brown Bear and a Tiny yellow bird make every heart melt at this cute A3 size poster with the beautiful quote: "What if I fall? 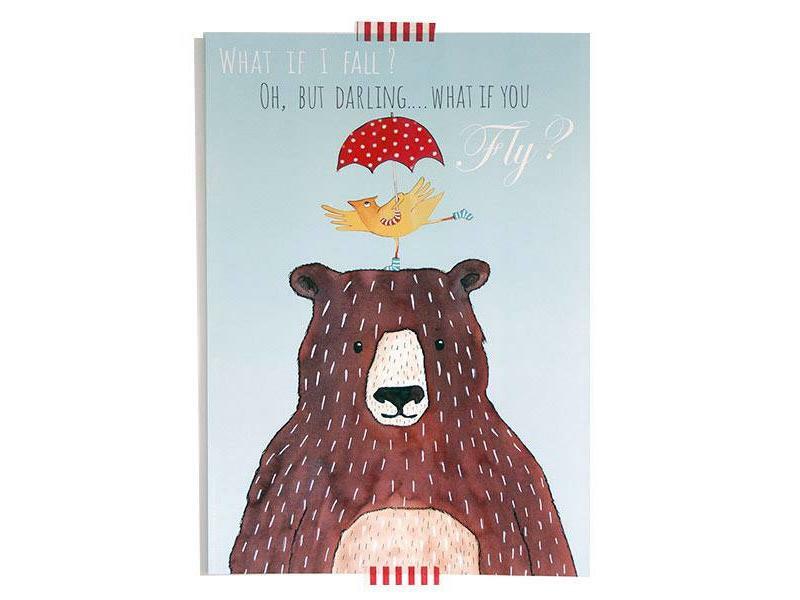 oh but darling, what if you fly?" "What if I fall? oh but darling, what if you fly?" is a touching quote from a beautiful poem by the young Australian poet Erin Hanson. 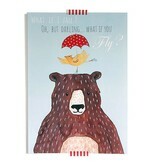 This quote inspired us to illustrate a big Bear and a tiny yellow bird with a red umbrella. Will tiny bird fall? Don't worry. Bear will make sure of that! 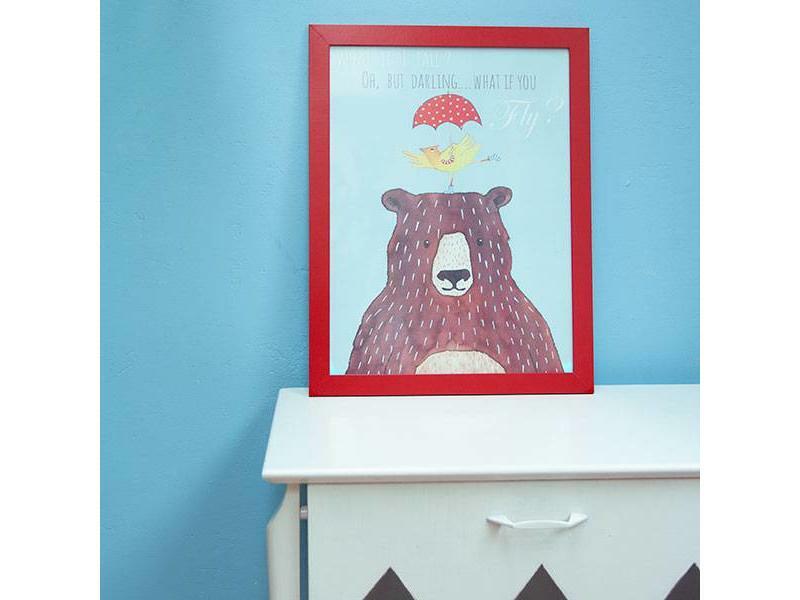 Bear is an A3 (29,7 x 42cm) size poster. 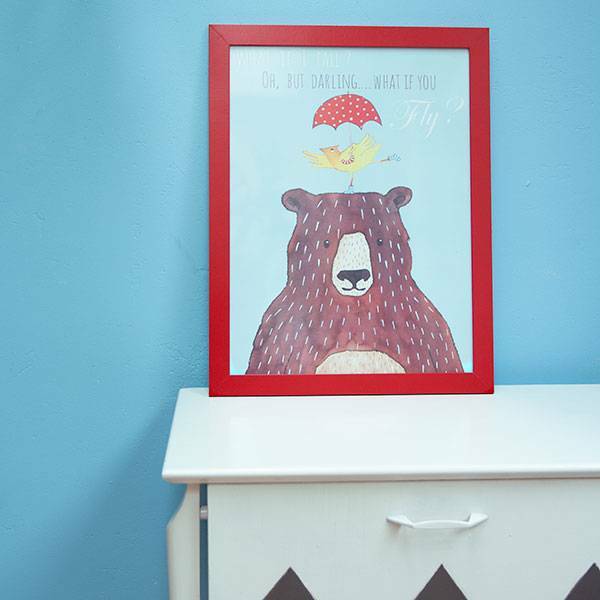 With a piece of striped or dotted masking tape the poster can be easily attached to any wall. Printed on 170 grams matte paper. Poster Bear is sold WITHOUT frame. Little Bear climbs higher and higher .... Clever Fox and the Beavers hold the ladder tight! Will he succeed? Or is the moon too far after all? Soft drizzling rain makes these animals want to sing! Behind the grey Clouds Hippo, Dog, Bear, Bird and Owl hold up their colorful umbrella's to stay dry. Can you see the lovely rainbow?